Using the wrong type of fuel in your car can be a very unpleasant experience. We can help you with this issue as we have a team of experts with experience in running fuel draining companies. We operate mobile fuel draining units all around West Midlands that can get your car running in less than an hour. Our teams carry all the necessary fuel draining equipment so there aren’t any costly repairs involved either. We operate with a success rate of over 99% so you can’t go wrong in contacting us. Fuel draining in Wolverhampton: The driver of a diesel Ford Focus stopped to refill his car at the Esso Petrol Station on Cannock Road. Not realizing that he filled it up with petrol, he found himself stuck on Stratford Road, from where he called us. Our fuel draining team arrived at the scene in 40 minutes and managed to get the car back on the road in less than an hour. Fuel draining in Dudley: A young man was returning home in the late evening when he stopped at the Tesco Petrol Station on Highland Road to fill up his car. Mistakenly filling his Ford Fiesta with the wrong fuel type, his car broke down on Buffery Road. After calling us, our fuel draining unit arrived at the scene shortly and managed to get the car running within the hour. Fuel draining in Stourbridge: An older couple stopped at the BP Petrol Station on St John’s Road to fill up their car on their way back home. Without realizing they filled up their petrol Vauxhall Astra with diesel fuel and shortly after their car broke down on A456. They called us and we dispatched a fuel draining unit immediately, which arrived at the scene in 30 minutes and got the car running not long after. Fuel draining in Birmingham: Returning home from work, the young driver of a Mini Cooper stopped to refill his car at the SHell Petrol Station on Bristol Road S. He didn’t realize he used the wrong fuel type until his car broke down on Bunbury Road. Our mobile fuel draining unit was quickly on their way and managed to assist him in less than 30 minutes and went on to get the car back on the road in an hour. Fuel draining in Coventry: Our mobile fuel draining unit was called on London Road, where the driver of a BMW 120d was stuck. She explained that she used the wrong type of fuel when she refilled from Murco Petrol Station on Blackprince Avenue earlier and she called us as soon as she realized this. Our team successfully drained the wrong fuel out of her car and got it back on the road in less than an hour. Fuel draining in West Bromwhich: We were called to assist the young owner of a diesel Vauxhall Corsa, who found himself stuck on Newton Road. Our mobile fuel draining unit managed to get there shortly after he called us and that’s when he explained that he filled up his car with petrol at Shell Petrol Station on Dudley Street. Our team successfully drained his car of the wrong fuel and got it running shortly after. Did you make an error of fuelling your car with petrol instead of Diesel? Well, you do not need to worry! 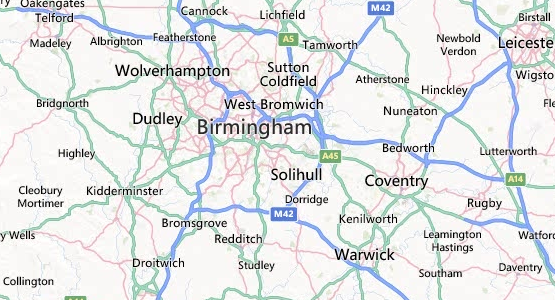 All you need to do is dial 07720 875212 and give us your location in West Midlands! Our technicians are the best in the trade and they can remove the wrong fuel in 30 minutes or less! Now, doesn’t that sound lovely? 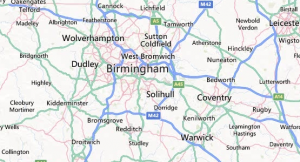 At Fuel Expert, we know how gruesomely inconvenient it is to deal with removing petrol in a diesel car and this is the reason why we send our technicians in any part of West Midlands at the earliest possible time! With us, you are guaranteed to save a huge amount of cash as we can guarantee that 95% of petrol-diesel incidences do not need full scrapping of your car! Fuel drain in Northfield B31: A couple was driving around town with their Ford Fiesta when they mistakenly fuel petrol instead of diesel at the Shell Station in Bristol Road! We were able to remove the contaminated fuel in less than 40 minutes! They were so happy that they promised that we will be their go-to garage in case this happens again! Fuel drain in Oldbury B69: We were dispatched at Dudley Road East to drain contaminated fuel of petrol in a Volkswagen Jetta TDI. It took us less than 40 minutes to give happiness to our customer. That’s’ how fast we are. Fuel drain in Coventry CV2: An old lady had her knickers in a twist as she fuelled her Toyata with 15L of petrol at Snax 24 Ltd on Hinckley Road. Her worries were gone with the wind as drained the contaminated fuel fully! Fuel Drain in WolverHampton WV11: A lady asked for our assistance when she placed 20L of petrol in her Renault Megane Hatch at a gas station on Blackhalve Lane. She heaved a si of relief as we were done in a jiffy! Fuel Drain in Dudley DY1: As we were the nearest team, we were dispatched at Tesco Petrol Station on Birmingham Road where a couple of teens mistakenly fuel 10L of petrol in a Kia Rio! They were incredibly grateful that they gave each one of us a cup of coffee! Fuel Drain in Solihull B91: It was a warm a chilly Saturday night when we were dispatched to Warwick Road to remove 33 L of contaminated fuel from a BMW 1 series. The couple was over the moon when the agony was over! Fuel Drain in Walsall WS1: A Toyota will no longer start at Springhill Road after being filled by petrol instead of diesel. Lucky that we were near the location and we removed whatever was left in the car, that’s how fast we are, indeed. Fuel Drain in Great Barr B43: As we are coming around the area, we were immediately dispatched to Total Station on Birmingham Road as an old man was having trouble as he fuelled petrol onto his Volvo! We sure did him good as we removed 20L of contaminated fuel in just 35 minutes! Fuel Drain in Halesowen B63: The crew of BP Service Station referred a young college student to us when she filled her Kia Sportage with 20L of petrol without knowing it! We got her car upo and running in just 40 minutes! Fuel Drain in Stourbridge DY8: It was roughly 10 pm when were called into service at BP Service Station St. Johns Connect on St. Johns Road to remove 20L of contaminated fuel from a Fiat Scudo. Our service isn’t just all mouth and trousers because we surely finished in 35 minutes!